You can also get X-H1 (with IBIS, but no 10-bit and 120p not so good) for 950 EUR in European grey market shops. X-H1 also has better ergonomics when shooting handheld. When rigged up, then does not matter. I've used Sony a7 cameras before and their user experience is just crap. The image is lifeless compared to Fuji. Mostly I shoot JPG with Fuji. You just dial in your settings and you are done. But, what exactly is the problem, why you cannot record? You can record 2 ways: into both SD card and SSD or only to SSD. You can choose that in Fuji's video settings menu option. You can start recording via camera's shutter button or from Ninja. I've read the manual it states this: "Ninja V Mic input supports dynamic and powered microphones only. When using these, audio must be set as Mic Level." I'm guessing Deity mic is not that kind of microphone? Choosing a line or mic does not make it connect. Does the Ninja V record audio with Deity V-Mic D3 Pro? Because I have not managed to do that. I've tried different audio cables, no luck. At the moment I'm recording to the camera with a cheap (2€) TRS cable and I also have Rode TRS cable, both work with the camera. But if I connect the mic to the Ninja, no audio input. Any suggestions? I have not tried other mics. I'm also using Anker PowerCore Speed 20000 PD with X-H1 and it works flawlessly. No need to worry about power for the entire day. You can get the cable from any tech store. Btw, Atomos support is very helpful when you have questions. A question for Fuji X guys with Ninja V. I have X-H1 and when I record, I always get those <1 sec black clips before / after the clip that I'm recording. Do you know why? I have Samsung 860 EVO 500GB SSD. 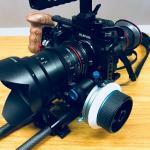 Atomos has said, that PRO discs are better. And sometimes I've noticed a jittery recording. It's not IBIS, happens when IBIS is off. Oh, I'm using Lindy 41680 HDMI2.0 thin cable. No internal 10bit, but does it 4:2:2 externally, which is still great for 900 USD camera. I'm seeing a different image in just viewing the files in Quicktime. So, not even going into editing software. I've recently got Atomos Ninja V for my Fuji X-H1. I've set F-Log inside the camera and F-Log, F-gamma, inside Ninja. But for some reason, the image from Ninja is more saturated. Is that normal? I have no previous experience with external recorders. And it's not monitoring difference, it's the result file. I will upload a sample tomorrow. I'm looking for a good HDMI 2.0 cable for my Fuji X-H1 and Atomos Ninja V. This camera does not record 10-bit 4k60p, but I will get X-T3 later that will. A cheap (<10€) HDMI to micro HDMI cable is, of course, available from most tech stores, but they are long (1m+) and too stiff. I could buy Atomos coiled cable, but those seem too stiff, too. And when using with gimbal, that is a problem. So, there are some flexible thin cables around but are they any good. And are they version 2.0? And finally a shot of the long-long cable I'm using now. Yeah. 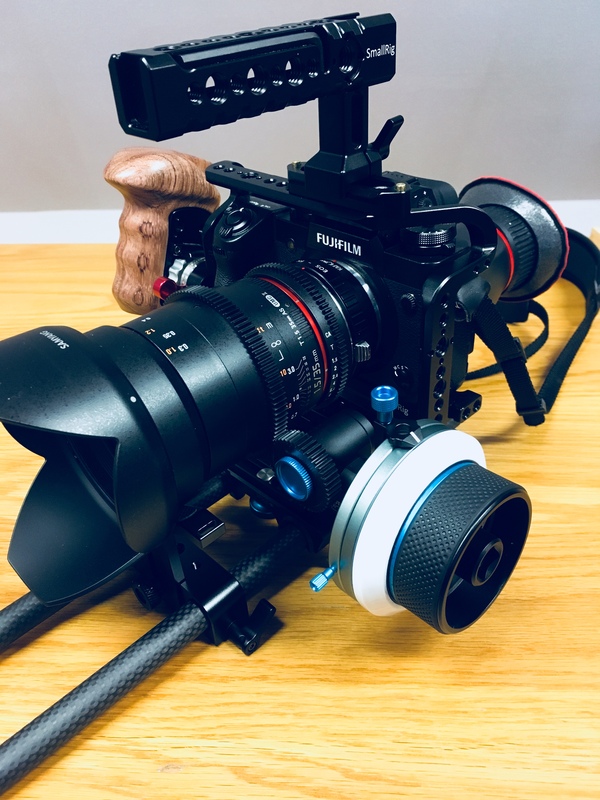 Are there variable NDs that can be used with matte box?